You'd think that cleaning would be the most difficult—and important—task for a dishwasher. It turns out, maybe not. “Drying is harder than cleaning because dishes and glasses have areas that trap water, and that water doesn’t evaporate,” says Larry Ciufo, who oversees Consumer Reports’ dishwasher tests. “Also, as the dishwasher cools, water droplets from all that humid air form on the dishwasher’s interior and on the dishes." Our lab tests show that some dishwashers are much better at drying than others. CR tests have found that the best machines can dry even plastic; the worst have you reaching for a dish towel. To find out how well a dishwasher dries, we place plastic sippy cups on the top rack and run a test cycle. Plastic is more difficult to dry than glass and ceramic because it doesn’t retain heat that would otherwise contribute to the drying process. Water that remains on plastic doesn’t evaporate as easily. That’s where a dishwasher’s heat setting comes into play. Dishwashers dry dishes in several ways: with an electric coil that heats the air, a fan that blows hot air around, an increase in water temperature near the end of a cycle—or a combination of all these methods. None guarantees dry dishes or stands out as a better drying method in our tests, so we can’t recommend one over another. Manufacturers continue to offer potential solutions. The latest is a dishwasher door that automatically pops open in the last 10 to 15 minutes of the cycle, allowing the moisture to escape. 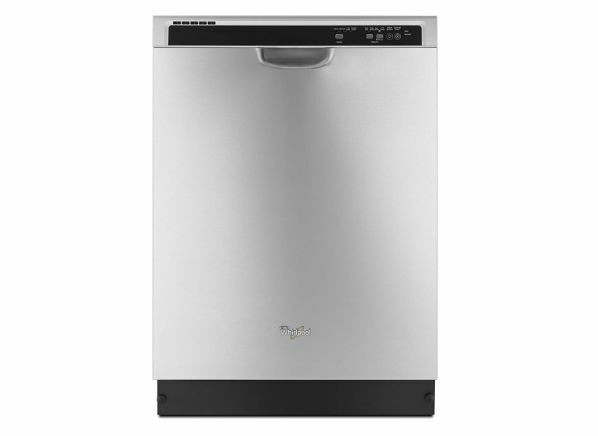 In our dishwasher ratings, you'll see a pop-open door on the Samsung DW80K7050US, $785, and the Miele Futura Crystal G6665SCVlSF, $1,700. Even without a pop-open door, there are steps you can take to improve drying performance. 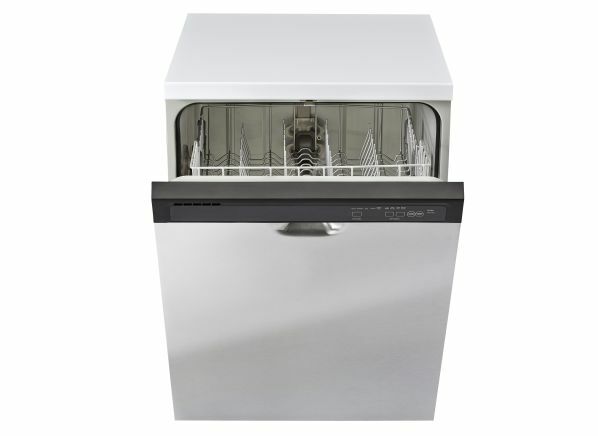 Here's what our dishwasher experts recommend. 1. Allow space between dishes. They shouldn’t touch, and don't overload your machine. The idea is to improve the circulation of the water and air, which improves drying. 2. Use a rinse aid. It prevents spotting and enhances drying. The rinse aid breaks the bond between the water molecules and dishes, causing water to sheet off of your dishware. 3. Use the heat feature. The more heat, the better the drying. Depending on your dishwasher, you may have the option to add heat during the washing, rinsing, or drying cycle. 4. Open the dishwasher door a few inches as soon as the cycle ends. This allows trapped moist air to escape. 5. Empty the bottom rack first. Water collects on concave surfaces, such as mugs and glasses, that belong upside down on the top rack. Empty the lower rack first to avoid spilling water onto the contents of the bottom rack. Of the more than 100 models in our dishwasher ratings, fewer than 20 rate Excellent in our tests for both cleaning and drying. Here are three that excel on both fronts, for $750 or less. Our latest survey of CR members reveals the most and least reliable dishwasher brands and owner satisfaction. 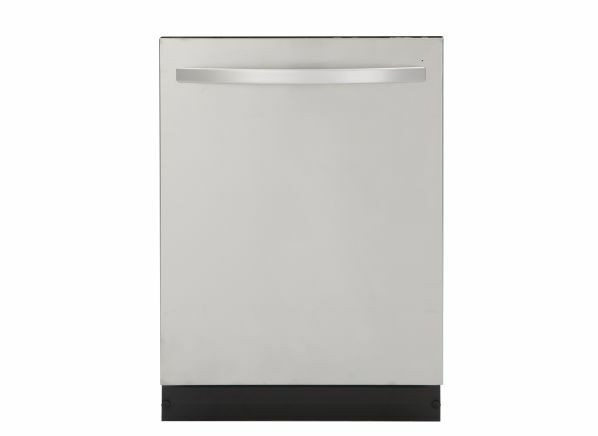 And to make it easier for you to pick the best dishwasher for your budget, we incorporate lab test results, predicted reliability, and owner satisfaction into a single Overall Score. That means everything you need to make your buying decision is all in one place in the dishwasher ratings.